While in New Zealand last year, I went into a bookstore based on the name and the look of it. 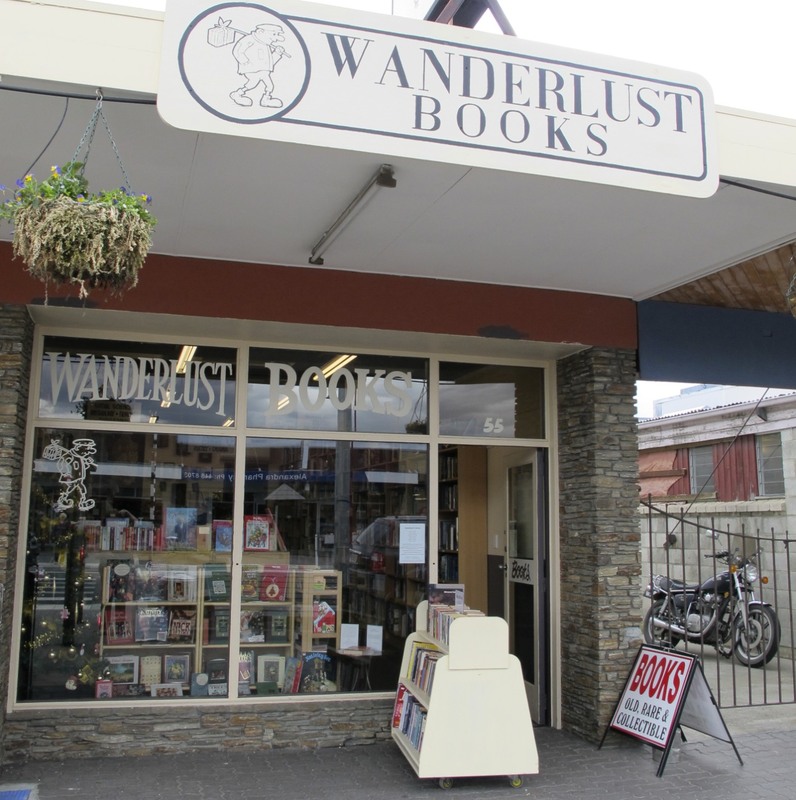 Wanderlust Books, in Alexandra was just the kind of shop where any book lover would be happy to spend an afternoon searching the shelves with the help of Tim Julien, the proprietor of the quality second-hand book store. I was not inside the store very long before this book caught my eye and when I picked it up for a closer look I saw the image below. 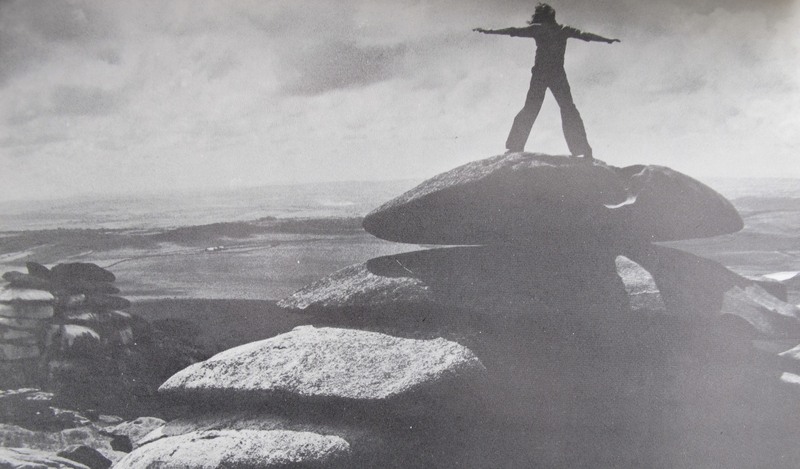 According to the publication date, this photo was taken before 1974 and it has someone standing on Rough Tor in the same spot that I am in my header photo at the top of this page. 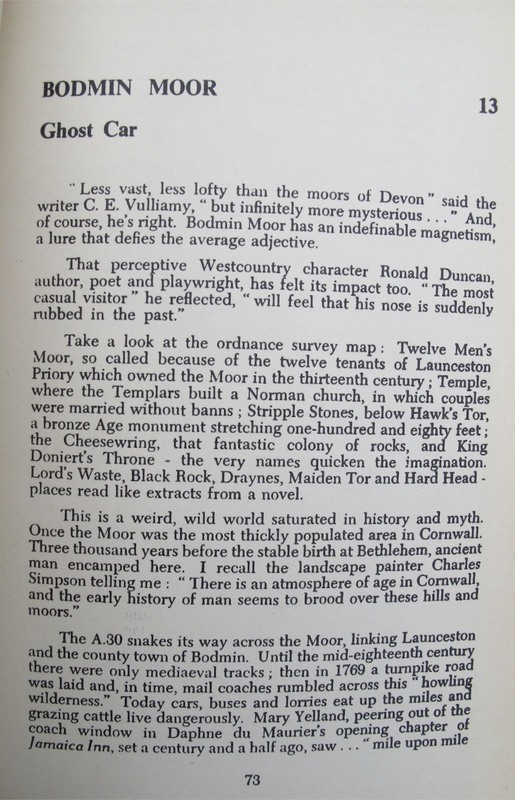 All of the places mentioned in the chapters are familiar now to me especially the one below. When I found this book in New Zealand, I couldn’t help think about how it came to be so far from home. 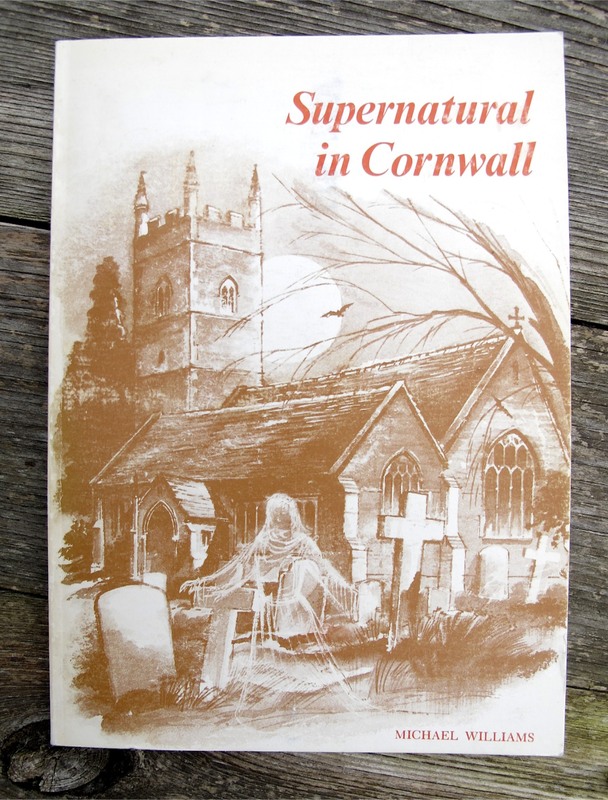 John thought fifteen New Zealand dollars was too much to spend, but how could I not buy it and take it back home to Cornwall, especially since I love a good ghost story. 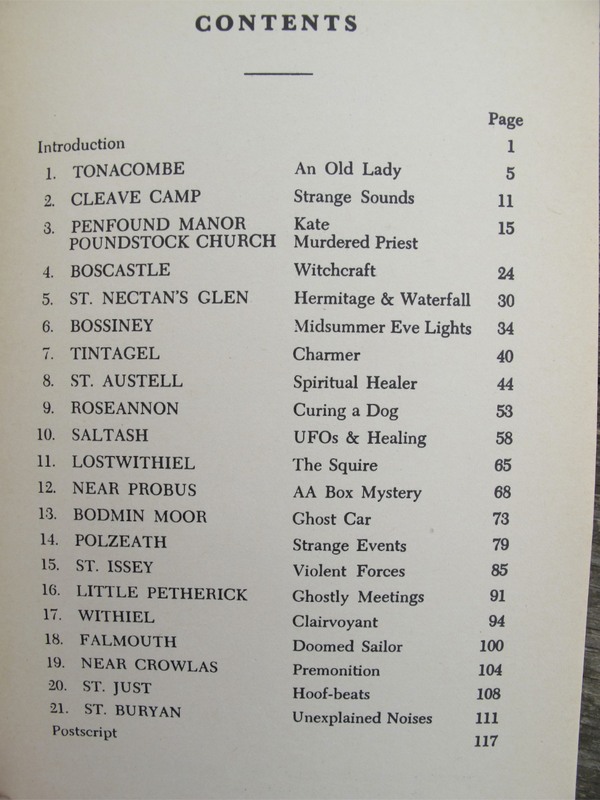 This entry was posted in Books, Cornwall, Living in UK, Travel and tagged Bodmin Moor, Cornish Books, Cornish Ghost Tales, Elizabeth Harper, Gifts Of The Journey, New Zealand, Rough Tor, Supernatural In Cornwall, Wanderlust Books. Bookmark the permalink. Amazing … wow how great for you to be standing in the same place 🙂 yes you had to have it!! Maybe someone went on holiday to New Zealand, had a book with them , and left it for someone else to read… !! Yep… one of my favorite photos of you! So glad you bought it. It looks like a fabulous book. Have you read any of the stories? How are they? So cool! So glad you bought the book! How cool! Must have seemed really creepy to see that figure standing on the rocks, like it was fated to be your book! I love stuff like that. It’s souvenir of home. And of cours,e when one is home they don’t often buy souvenirs…so makes sense to me (well it would, wouldn’t it!). You’re speaking to the only one I know who goes to Oz for a month, and comes back, as my sister said, “with ROCKS in your rucksack..” Guilty as charged. She clearly thought I had lost a marble or two. Wow! That photo is so eerie. I think it’s one of the best $15 you spent.